The abstract should summarize the contents of the paper in short terms, i.e. 150–250 words. The chapter covers Software defined radio systems and their usage in telecommunications. The presented results are based on relevant studies of authors conducted at the Institute of Telecommunication systems of “Igor Sikorsky Kyiv Polytechnic Institute”. Features of the modern Software-defined radio systems were analyzed. The architecture of Software defined radio system that is based on architecture of communication software was substantiated. The architecture that is oriented on realization of Cognitive Radio System was proposed. 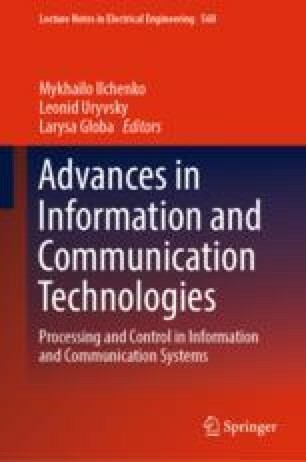 The creation process of Software defined radio system based on SDR Transceiver and technologies of System-on-chip using modern means of software oriented modeling was described in details. The variants of interaction between processor cores and programmable logic in the system on the crystal during creation of Software defined radio system were considered. The publication is addressed to scientists, graduate students, and developers of radiocommunication equipment.